Dr. Widian Nicola is a relationship expert and Licensed Clinical Social Worker with over 15 years of clinical social work experience. She has worked along the continuum of care – from inpatient treatment to outpatient counseling with adolescents and adults. 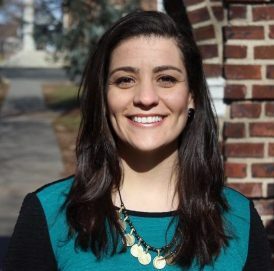 In addition to directing Nicola Counseling Services, LLC, Dr. Nicola is an Assistant Professor of Graduate Social Work at Seton Hall University and is Host/Producer of the podcast show, Lived Experience Project. For the past fifteen years, she has also been a retreat facilitator and conference presenter. Her published and media contributions have appeared on national platforms. She was also awarded the Larry DePaul Justice Education Award by the Romero Center in Camden, NJ in 2014. Dr. Nicola is the founder and event director of the annual Savor and Serve fundraiser, is co-leader of the Potluck Society Steering Committee, and volunteer at the Center for FaithJustice. Dr. Nicola is a clinical supervisor for those working towards clinical licensure, and in her own practice, specializes in working with emerging adults and couples.